BY MALIA ZIMMERMAN – March 14 shouldn’t pass without the people of Hawaii acknowledging the significance of this day in Hawaii’s history. 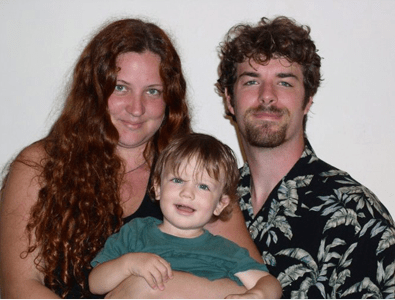 Five years ago, Kauai North Shore residents Alan Gareth Dingwall, Daniel Jay Arroyo, Rowan Grey Makana Fehring-Dingwall, Aurora Solveig Fehring, Christina Michelle McNees and her unborn child, Timothy Wendell Noonan, Jr. and Carl Wayne Rotstein, lost their lives in a terrible tragedy. After more than 40 days of rain, the privately owned Ka Loko dam breached in the early hours that Tuesday morning, unleashing an estimated 400 million gallons on the peaceful country community below. 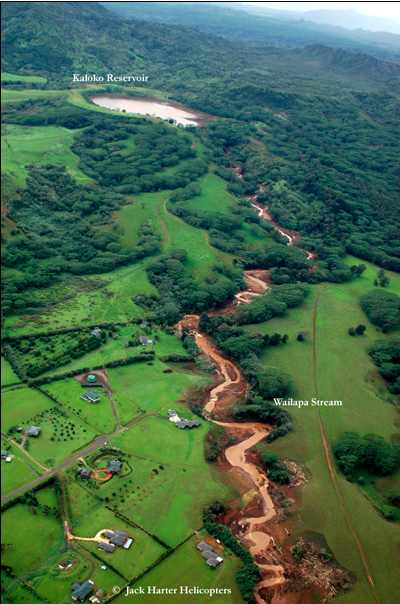 The forest filled emerald valley laced with the graceful Waialua sapphire river, was devastated. One hundred foot tall trees were ripped from their roots and swept into a deadly “tsunami from the mountain.” Electrical polls flashed as they were ripped from the ground, illuminating the otherwise pitch-black horrific scene. The once peaceful river, raging with power and debris, destroyed the mountainside, the forest, the river, the ocean and beach, and all life in its path. An estimated 16 cars are gone. Homes and all of their possessions and furniture were swept out to sea. And of the 8 people killed, only three people were reported found. As rescue efforts turned to recovery efforts, the questions on everyone’s mind was why did the dam breach, who owned it and who was responsible? Was it an act of God, as some portended it to be? Or was this a man-made tragedy? Witnesses who lived to tell about that fateful day when the dam breached describe the sound of the rushing 30 to 45 foot waves as if a 747 airplane was landing just near their home. Some neighbors, whose life was narrowly spared, rushed out in the rain and devastation to look for survivors. There were none. The 7 people killed were from all walks of life, but they all knew Aurora Fehring Dingwall. By all accounts, Aurora was a young entrepreneurial powerhouse. At age 24, she was not only operating a childcare business, but was running the family farm, she was about to launch a new agricultural business and she started an international foundation. She was a determined and authoritative redhead, who spent her days with her son, Rowan Fehring Dingwall, at the beach just down the hill from their family home. She helped other young mothers gain better parenting skills. She had experience to share. Rowan, who loved animals, books and food, was going to turn 2 years old in just a matter of days and they planned his birthday celebration that weekend. Aurora’s husband Alan Gareth Dingwall, 30, who she met in Europe when she lived there as a nanny, was a successful businessman and by all accounts, a fabulous chef and a wonderful father. Once Alan left his cold snowy home for the warm green grass in Kauai, he didn’t want to wear shoes again. Aurora worked with her landscaper, Carl Wayne Rotstein, 49, to build the agricultural business sure to blossom under their green thumbs. A friend of Aurora’s, Christina MacNees, a 22 year old woman who worked at the Healthy Hut food store nearby, planned to get married that Tuesday, so she and her fiancée Daniel Jay Arroyo, 33, were staying on the Fehrings’ 6-acre property. Macness, an Eskimo who was adopted by her aunt, was getting married at around 7 months pregnant. By all accounts, she was radiant and happy and looking forward to two important life-changing events – marriage and the birth of her son, Mukluk. Aurora, who was known for her compassion, also took in Timothy Wendell Noonan, Jr., a friend who had bad luck in recent years and had become homeless. He was close friends with Macness and Arroyo. They were all looking forward to a wedding and a birth that would never happen. At first, the press and public assumed the flash the breach of the more than century old, privately owned dam was a natural disaster coming after more than a month of unusually heavy rainfall. But in the days and weeks that followed, reports surfaced that the Kaloko Dam, which held back the 30-acre reservoir, had never been inspected by the state Department of Land and Natural Resources, as Hawaii law requires once every five years. The state tried to shift the blame for this lack of inspection to the owner of the dam, car dealer mogul James Pflueger, one of the wealthiest and most prominent men in Hawaii, claiming he had not permitted inspectors on his property despite numerous requests. Pflueger denied that charge and the Kaloko Dam disaster quickly became a highly controversial, contentious issue. In the aftermath of the tragedy, then Hawaii Gov. Linda Lingle surveyed the damage, attended a community meeting in the small town of Kilauea where the deaths occurred, and promised a thorough investigation to determine the cause of the dam failure. After the meeting, Mike Dyer, a local Realtor with long ties to the community approached Lingle and told her investigators a remarkable story that led them to suspect that rather than being just a natural disaster, the dam tragedy may have been caused by human error. Dyer claimed, and Kauai Country documents later confirmed, that in late-1997, the dam’s owner James Pflueger, had been illegally grading the land at Kaloko where he was planning waterfront home sites along the banks of the reservoir. Dyer, who was a neighbor of Pflueger at the time, noticed that in the process of leveling a 50-foot-high hill next to the reservoir, Pflueger had filled in the dam’s main safety feature called a spillway. The spillway is a depressed area on one side of the dam designed to let water gently flow safely over the side of the dam in the event heavy rainfall filled the reservoir to dangerous levels. Shocked to see the concrete spillway had been covered with dirt, Dyer says he wrote to Pflueger warning him of the potentially “dangerous situation”; but received no response to two letters Dyer says he faxed to him. Pflueger claims he never received Dyer’s communiqués. Dyer was so concerned that he returned to the dam, took photos of the now covered spillway and sent them, along with a letter to the Hawaii Department of Land and Natural Resources. He says the state agency never responded to his letter and photos at the time; but eight years later, after the tragic loss of life and property from the dam breach, Dyer once again provided a copy of his letters and photographic evidence to state investigators. An anonymous complaint to the Kauai County that Pflueger was grading without permits in 1997 also was largely ignored. A county engineering inspector checked the site from afar and told Pflueger to “stop work immediately.” But Pflueger didn’t stop and instead, the inspector was called into see then Mayor Maryanne Kusaka where county documents reveal he was clearly told to stay away from Pflueger. Pflueger told Hawaii Reporter in an exclusive interview on Kauai that he gave a large contribution to the mayor. He said that he handed Kusaka $9,000 in cash hoping he would get the harassing inspectors off his back. After some prodding, Pflueger confirmed the contribution in a follow up interview with “ABC 20/20″’s Jim Avila saying he hid it in the names of eight of his employees, but he claimed there was no deal. According to state campaign law, Pflueger cannot donate more than $4,000 to Kusaka in an election cycle. Kusaka did not report the contribution, and denies she received it: “Absolutely not, not that I’m aware of.” Neither was prosecuted by the state for the alleged illegal contribution. Lingle turned the dam breach case over to her appointed Hawaii State Attorney General Mark Bennett, and for the investigation, the Legislature allocated $3.5 million. Community members in Kilauea formed a group called “Dam Mad” and demanded an independent criminal investigation. Bennett potentially had a conflict of interest because he was a longtime associate in the law firm of Pflueger’s chief legal counsel, Bill McCorriston, and many Kauai residents believed he should recuse himself and that the state should not investigate itself. While Bennett handled the criminal case, the Hawaii State Legislature called for a special deputy to conduct an independent civil investigation. Robert Godbey was hired to conduct an independent civil review. Civil lawsuits were filed by both the victims’ families and members of the community against Pflueger, the state of Hawaii and a local irrigation company that Pflueger claims was responsible for the dam’s maintenance. Hawaii born actress and singer, Bette Midler, saw her property devastated by the dam breach. She became the lead plaintiff in the property damage case against Pflueger, the state, the county and the maintenance company. Pflueger filed his own counter suits. The civil suits, for death and property, were combined and settled after years of negotiation on October 2009 for a reported $25 million; a possible additional settlement may come from the insurance company. But was the Kaloko Dam disaster a crime? After a secret grand jury reviewed 207 exhibits, listened to 20 witnesses over four days from November 18 to 21, 2008, resulting in a record of 600 pages, they agreed unanimously to indict Pflueger on November 21, 2008 on 7 counts of manslaughter and one count of Reckless Endangerment in the First Degree. Pflueger’s attorneys maintain his innocence, and blame the state, the county, the reservoir manager and former dam owner, and others for the breach. However, the state says Pflueger knowingly covered the spillway in the late 1990s when he illegally graded and grubbed the area and flattened a large nearby hill, to prepare the area for housing construction. Meanwhile, the 2010 elections ushered in a new governor and new attorney general. A new prosecutor is assigned to the case. 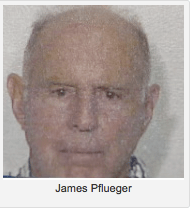 No court hearings on Pflueger’s appeal have been set. His criminal case potentially could be delayed for years on his appeals. Pflueger’s attorneys have filed for several delays, the latest being that appeal to the Kauai 5th Circuit Court rulings by Judge Randal Valenciano that allowed the case to go forward. Pflueger’s attorneys say the manslaughter charges should be dropped because of double jeopardy and sufficiency of evidence. The double jeopardy claim is referring an earlier prosecution of Pflueger by the state Department of Health, the state Attorney General, and the U.S. EPA. That 2001 case led to the 2006 conviction of Pflueger on 10 felony counts for illegal grading and grubbing and pollution of the pristine Pilaa Bay in what would be the most serious and significant criminal environmental case in Hawaii’s history with fines of $12.5 million. Just after his conviction, the dam breached. What will the people of Hawaii learn from this tragedy and will anything change? There is no final answer yet, because 5 years later, the story still isn’t over. Little has happened to those involved with the case. Peter Young, who headed the state agency charged with inspecting the dam that was never once checked, eventually left the agency without repercussion. Maryanne Kusaka, no longer in political office, continues to sell real estate and was never charged. Her administrators, for the most part, still live on Kauai. Her inspector quit his job and moved to Maui. He was subpoenaed to testify in the civil case. Illegal grading continues around the state, including reportedly right now on the Big Island at the property of actress Rozanne Barr. Politicians raced to pass dam safety legislation, but farmers say it is cost prohibitive and putting them out of business. The state Department of Land and Natural Resources agreed with Pflueger to shut down the farmers’ access to the water from Kaloko, which they had negotiated with the purchase of their Kilauea land parcel. Farmers faced tremendous survival obstacles with droughts, no water access and more costly regulations they say are ineffective. Pflueger has been able to delay his legal criminal case indefinitely. However, his legal troubles are far from over. Pflueger was charged with federal tax fraud, conspiracy, filing false tax returns and allegedly transferring $14 million to a Swiss bank account without reporting to the IRS. He could pay $250,000 for each count and spend up to 8 years in prison. His son, Charles Alan Pflueger, who now operates the Pflueger Auto business, also is charged in the filing of inaccurate corporate tax filings. Their trial is set for May 2011. But through it all, Pflueger has taken no responsibility and maintains he is a victim in all cases and wrongly accused. He has built a formidable defense team. Five long years later, the families of those who lost their loved ones, along with members of the Kilauea community, are still waiting for Pflueger’s criminal trial to begin. They want answers to who killed their family members – and they want justice. Ironically, before the dam breach, Aurora formed The Aurora Foundation, to help the victims of the 2005 Pacific Rim tsunami that killed thousands across Asia and left children flooding the orphanages. Her legacy lives on. The Aurora Project is continued by the Fehring family members and friends, who have donated time and supplies, blankets, medical help, and various equipment, to build a rice mill, water delivery system and to sew blankets for the children in the Thailand and Cambodian orphanages. They continue the work in Aurora’s name and have touched the lives of hundreds of children. As a reminder of Aurora’s green thumb, the family planted a sunflower patch and vegetable garden on their property. 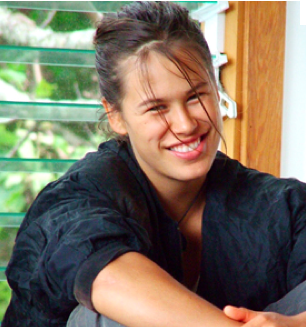 Editor’s note: Hawaii Reporter editor Malia Zimmerman was subpoenaed to testify in this case. Glenn Silber, a former producer for ABC News’ 20/20 who has reported on Ka Loko Dam’s breach, contributed to this report. Mistakes and accidents happen, and sometimes it's impossible to find the guilty person. Do you know how to read Sorina? "Peter Young, who headed the state agency charged with inspecting the dam that was never once checked, eventually left the agency without repercussion. Maryanne Kusaka, no longer in political office, continues to sell real estate and was never charged. Her administrators, for the most part, still live on Kauai. Her inspector quit his job and moved to Maui. He was subpoenaed to testify in the civil case.."
Lots of mistakes there! Bet you think the sunken Korean ferry was a "mistake"? And they are pending now too… Is not normal.